ISO and exposure compensation – what’s the relationship? If I shoot a digital SLR – let’s say a Nikon D200 or a Nikon D40 – at 800 ISO and set +1.0 exposure compensation, is that the same as shooting at 400 ISO? I wanted a theoretical answer to that question because it seemed to me that increasing the sensitivity of the sensor by increasing the ISO is not the same as setting the sensitivity at a certain ISO and then pumping more light onto the sensor by increasing exposure. But perhaps that is not so; and I say that because I do not know how the hardware or the software inside cameras work. I only know what works. First of all, why is exposure compensation necessary? The answer to that is that the metering system in most SLR cameras (film as well as digital) measures light reflected off the subject, and the light passing through the lens is measured inside the camera. According to Nikon, their Matrix Metering System can set optimal exposure for virtually every situation. However, they caution that the internal metering system is designed to provide optimal exposure for a subject with standard reflectivity. The ‘standard’ is an 18% gray, which is halfway between black and white in reflectivity terms. But when the reflectivity of the subect is very different, the metering system may not be up to dealing with it. Nikon, and all manufacturers and experts, recommend increasing exposure compensation for scenes that are likely to be underexposed using the metering system alone. These are scenes where the subject is white or yellow or where sky fills a lot of the scene. Conversely, decreasing exposure compensation is suggested for scenes with a lot of deep green, or for dark subjects, or where a good part of the subject is in shadow. The bride and groom present a real problem for wedding photographers – she’s wearing a white dress and he is wearing a dark suit. And the fact that cameras can deal with these shots, shows that film and digital are able to handle the problem with proper technique. Well I haven’t got an answer to that theoretical question of the relationship between exposure compensation and ISO in digital cameras, but I have done some tests using the Nikon D40 and the D200. The really interesting thing for me is that the two cameras did not behave the same way. I did not shoot in Aperture Priority or Exposure Priority or any of the programs where the camera decides the appropriate speed or aperture side of the exposure equation. Rather, I shot in Manual mode and adjusted exposure using the bar that appears in the LCD. Once the indicator on the bar showed that exposure was correct, I shot the frame. So, in detail, I shot at 400 ISO, then changed the ISO to 800, adjusted the exposure in the bar to zero and shot again. Finally, I left the ISO at 800 and changed the exposure compensation from zero to +1.0 but did not adjust the exposure in the bar. I did this for each camera in turn. The day was sunny and cloudless, so the overall light levels remained more or less the same throughout the test. What I expected is that with +1.0 exposure compensation the shot would be overexposed. After all, it had received twice as much light as the meter suggested it should receive to expose the shot correctly. And so it was with the D40. I opened the three frames together in Camera Raw 4.2 and looked at the exposure. The shot taken at 800 ISO with +1.0 exposure compensation was lighter than the other two. One of the neat things one can do with Adobe Camera Raw 4.2 is to hold down the ALT button on the keyboard (I use a Mac) and then press the Exposure slider in the program. The frame blacks out and only shows those highlights (if any) that are blown outside the maximum exposure range. With the D40, all the shots had some areas of blown highlights but the shot with +1.0 overexposure showed substantially more blown highlights than the other two shots. I needed to pull exposure back with that shot to get the blown highlights to disappear. What I actually did was to pull the exposure back precisely one stop, which seemed about right. With the D200 it was a different story. When I looked at all three shots they all showed very nearly the same areas of blown highlights, which were in the white window frame that occupied one side of the frame. No shot showed a greater area than the other two. So in terms of comparing one shot to the others, they were all exposed correctly. I do not understand how the camera could expose correctly vis a vis the other settings when I had put in the exposure compensation. I shot in Manual mode so there is no possibility that the camera adjusted the exposure, yet the shot with +1.0 exposure compensation looked the same as the others. I spent some time looking at the histograms for all three shots, and there were only very small differences. It remains a mystery, but what the sets of shots did show can be seen here. I don’t like to thrust my opinion or interpretation of visual results onto other people. People can judge for themselves. They can ask, is there as much detail? 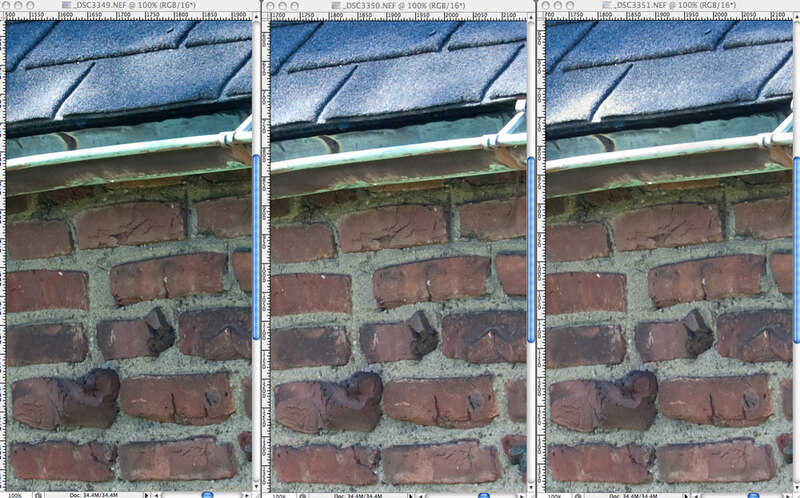 Does one image look degraded compared to the others?, and so on. But if you ask me, they all look the same. And if there are small differences, you will only see them in 100% crops. Which means you can use 800ISO without worrying about the image being worse than at 400IS0. You can add exposure compensation and it will not degrade the image. You might have to modify the exposure in post-processing (easier to do with RAW files than jpegs) but if you have time to look at the histograms in the camera (not so easy with the D40 admittedly as you have to dig into the menus) while you are shooting, you can control that anyway. And +1.0 is a lot of exposure compensation. I tend to use minus amounts, if anything, and -0.7 is about as much as I normally go, even in the brightest conditions. So here are the shots, and for me the bottom line is – be confident the camera can handle it – and go out and shoot pictures. I have a 40D Canon DSLR that appears to underexpose by 1/2 stop. I found that mnost shots needed +2/3 compensation. Also tested by taking images of blue sky or green grass, which, I believe will represent 18% grey. In both cases the histogram showed the curve at around 1/2 stop to left of centre. Is this test method a good way to test for exposure compensation (ie under or over exposure) required for the camera? Yes, grass or the back of your hand are about 18% grey. If your 40D underexposes on a mid-grey scene then you have your answer, and compensate accordingly. Michael Reichman at luminous-landscape.com argues for using the histogram to guide exposure and to exposure ‘to the right’ as near to being over-exposed without actually blowing the highlights by overexposing. Of course, not all scenes are 18% grey. And if I were to judge exposure by looking at the LCD on my cameras I would think the dynamic range of my D200 is greater than that of my D40 and that I have a lot of blown highlights with the D40. And it may be that the D200 has more dynamic range, but when I convert the RAWs in photoshop, the ‘blown’ highlights on the D40 turn out not to be blown at all, or to a much smaller degree than the LCD showed. Of course, the LCD on the camera shows a jpeg from the RAW, so it may not be accurate. And this may vary from camera to camera. I used to get consistent underexposure with my D70 but I find it easier to get ‘correct’ exposure with my D200 and D40. Ken Rockwell at kenrockwell.com says his Nikon D40 and his Canons overexpose and he sets them about minus 2/3 of a stop, as a matter of course. So you are not alone in thinking you should set exposure compensation – though obviously Ken Rockwell argues for minus rather than plus compensation. Where the histogram curve peaks depends on what is in the scene. The histogram of a shot of a bright small light against an otherwise dark background will look different to a scene with a narrow overall contrast range. I think the most constricting fact out of all of this, is that the photographer has to judge what is a photographable scene – a shot of a person against a window in a dark room is almost bound to be disappointing. Roll on the day when digital cameras have 11 or more stops of dynamic range. I looked at your photos on pbase and they are exposed very well – the overall clarity shines out from them. So, whatever you are doing, I would stick with it! As to whether cameras vary between samples, I don’t have the resources to comment, but I suspect some users may not be taking the ‘black-cat-in-the-black-room’ into account when assessing the camera’s meter. You’ve done an interesting test there – and judging by the results I think you may have struck a firmware bug with the D200. Have you tried contacting Nikon tech support on the matter? Thank you for the comment and I hope you get use out of Manual settings and exposure compensation. Have you tried using flash exposure compensation with Manual exposure? You may find it worthwhile experimenting with about -0.7 on Flash exposure compensation. As for the D200 results, it’s an interesting coincidence that you commented just now, as I just referred my results to someone for his observations. I’ll let you know when I hear more. As far as I know the exposure compensation has no effect at all in manual mode. It is used only to set a target value of light for the picture. If you set your target higher in aperture mode for example, it will slow the shutter to get more light, but in manual mode the camera can not do anything but report to you via the meter display that the picture will be over or under exposed. It will not vary anything to corect for this. 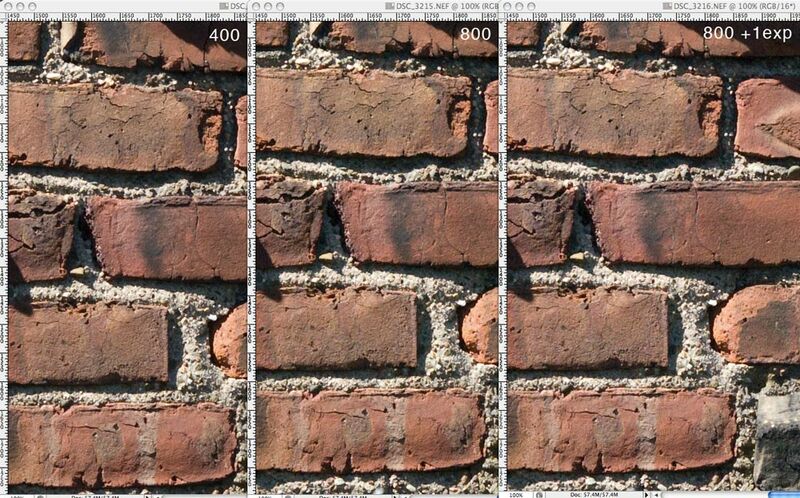 The pictures in both the d40 and d200 should be unaffected. Thanks for sharing. It’s sad that the older form of “film” photography and dark room printing is falling by the proverbial wayside and the newer style of digital magic is taking the creative element from the art. Sensors and micro chips might make the average photo buff a tad better but the real challenge and reward associated with photography lies between the photographer’s ears and not snugly housed in a high tech camera.